The MicaSense RedEdge-M a specialized sensor capable of recording reflected energy in the visible blue, green and red wavelengths as well as the non-visible red edge and near-infrared portions of the electromagnetic spectrum. 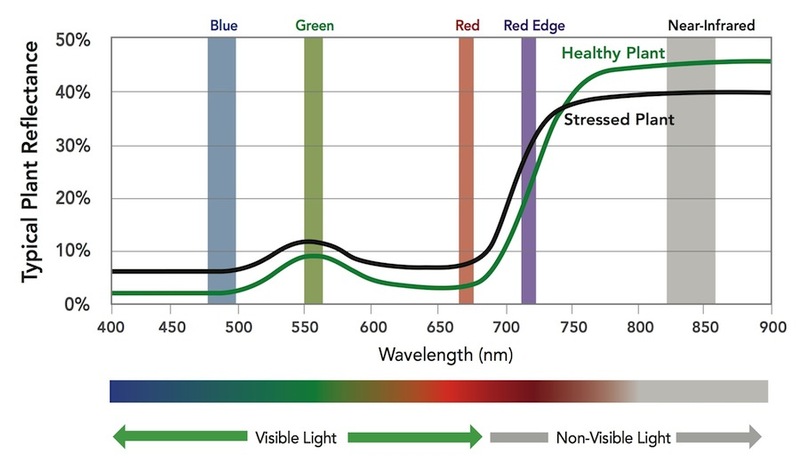 Typical response of healthy plants, when compared to stressed plants, is lower in the visible and red edge wavelengths and higher in the near-infrared (figure below). After this process, you have your ground-measured plot information associated with the blue, green, red, red edge, and near-infrared reflectance and any VI you create. (You have one record for each plot.) This is the table you will analyze. 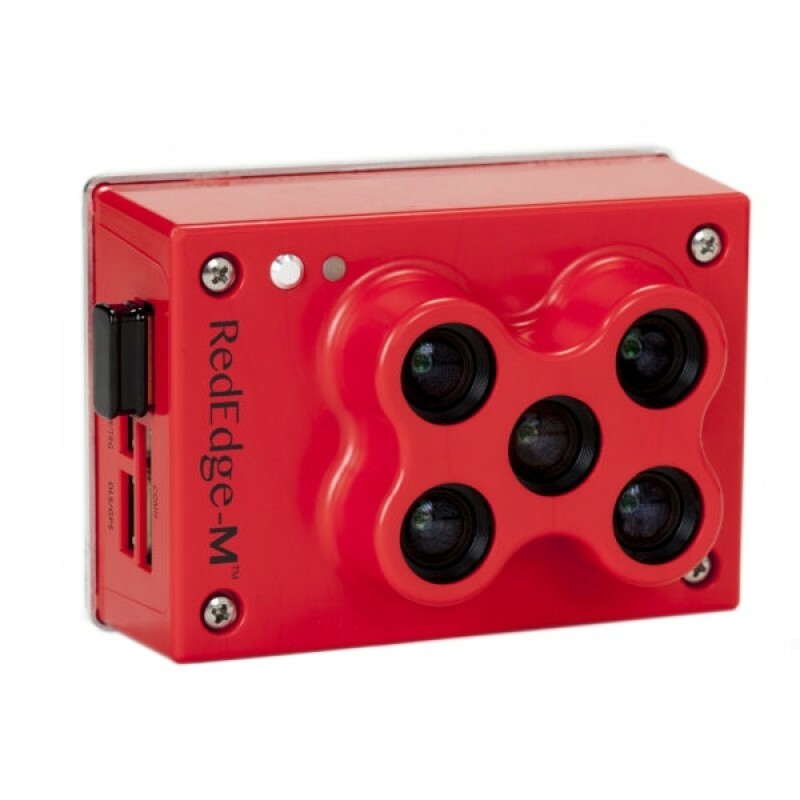 An issue with these multi-lens cameras is that each capture is comprised of, in the RedEdge-M case, five individual images. Each image is captured from a slightly different view (separate lenses) thus the resulting images are not exactly aligned. This week in lab, you will step through a workflow where you 1) use the Fiji/ImageJ application to align the RedEdge-M photos, 2) transform the imagery into NDVI, and 3) sample the imagery at locations at which we have known, ground-measured information. Please NOTE that these data are not georeferenced. You will be working in a generic, un-projected coordinate space. In this lab, ignore any Spatial Reference warnings you receive. Download the lab data HERE. I have provided two image captures, image 0114 and image 0115, of the Moose-in-the-Lake statue out at Lake Herrick. An image capture consists of five individual images – one image for each band (blue, green, red, near-infrared, red edge). For example, the 0114 image capture is comprised of IMG_0114_1.tif, IMG_0114_2.tif, IMG_0114_3.tif, IMG_0114_4.tif, IMG_0114_5.tif. The raw, unprocessed image captures are stored in the “digital_number” folder. These are the images I transferred directly from the camera’s SD card. Their pixel values are not calibrated and are in the ‘digital number’ space and range from 0 to ~65500. I have also included the same images converted to percent reflectance – pixel values range from 0 to 1. There is a good discussion on the differences between DN and Reflectance HERE. You will also use the Fiji/ImageJ app. Download the Windows 64-bit version HERE. This is a “green” application which means you do NOT install it like you would Word or other traditional software. 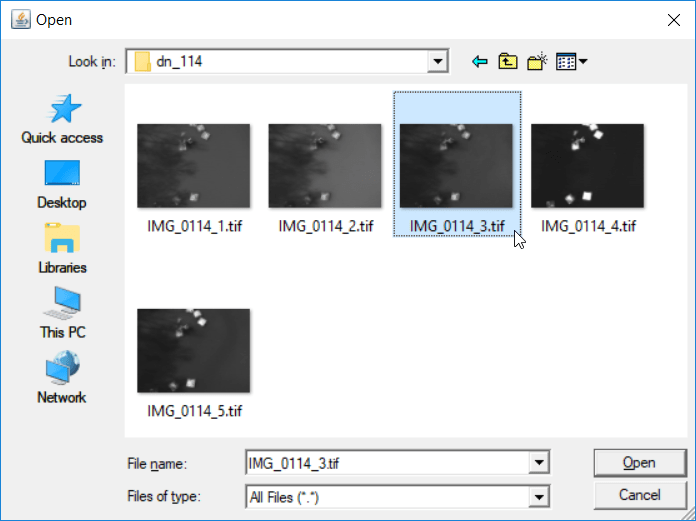 All you need to do is unzip the software in your working directory and then run the Fiji.app\ImageJ-win64.exe file – no installation necessary. NDVI ranges from -1 to 1. 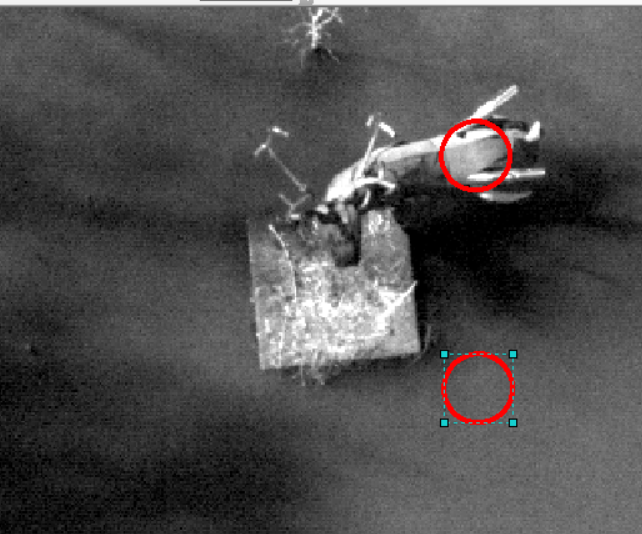 Are the image 114 and 115 Water measurements more similar in the DN space or the reflectance space? Record your results in a Word document and upload it to our ELC lab11 folder.